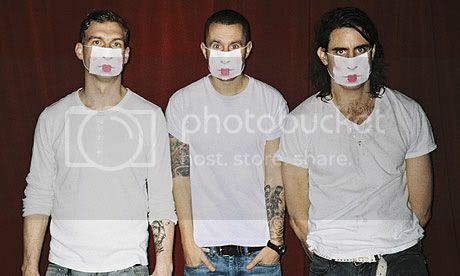 Label: Downtown Records Release date: 25/01/10 Website: http://www.miikesnow.co.uk Having received critical acclaim for their debut eponymous album, Stockholmâs Miike Snow release one of the focal points of the record âSilviaâ. Having already been played on daytime Radio 1, itâs clear this could be their breakthrough to the mainstream. Two-thirds of the three-piece have honed their craft by writing and producing for pop royalty such as Madonna, Kylie and Britney Spears, so it will come as no surprise that the production is crystal-clear. But what of the song? Melancholic piano gently builds up under American singer-songwriter Andrew Wyattâs emotive and gloomy vocals, while an electro sound buzzes quietly underneath. A low-key start that soon bursts in to life with the bass and keys gradually getting in groove halfway through the song. Electro effects are used to attention-grabbing effect sounding somewhat like if The Postal Service and Animal Collective were to collaborate. The Swedish have a fine background in crafting fine pop music, but Miike Snow are creating something far darker but no less captivating. Rating 8/10 What do you think? Sound off in our Fourum!